Recently we had the opportunity to learn about a fantastic Canadian company called Silver Sherpa and speak with their CEO and co-founder Susan Hyatt. Silver Sherpa is a professional services company working with clients and their families to make successful transitions later in life. They are unique in how they assist older persons to prepare and manage through lifestyle crises caused by health challenges, loss of a partner, social isolation or other factors putting their quality of life at risk. They combine healthcare expertise, estate planning knowledge and project management skills to cut through the maze of options in 3 simple steps – Plan, Navigate, and Connect. We are so impressed with them, that we wanted to do a podcast so that Susan could tell you herself about her company and what they do. Please take a moment to listen to what Susan has to say. She is wise, experienced and professional. Silver Sherpa is the partner you need to help your family through complex, difficult and challenging life transitions. Susan is passionate about changing the way we look at ageing and is focused on putting her extensive healthcare and international business expertise to work to provide a very different professional service model for her clients; a holistic client driven approach supported by a village. Susan is also President and CEO of HYATTDIO Inc., a global strategy company. As a corporate strategist and trusted advisor to governments and global technology companies, she has worked in the Asia Pacific, European, and Americas regions. She has held senior executive positions in both public and private sector organizations. Her success as a global entrepreneur combined with expertise in the provision, management, and governance of large multifaceted systems often puts her on the leading edge of transformational change. She was instrumental in the start-up of Canada’s Electronic Health Records (EHR) efforts. Canada Health Infoway Inc. was set up by the Government of Canada as an independent company collaborating with federal, provincial, and territorial governments to accelerate and facilitate the implementation of EHRs. Susan held several executive positions including Interim President and CEO. The Government invested $1.2 billion in the company’s formative stage. In June 2017, Ms. Hyatt was appointed to the Board of Directors for Agility Health Inc. (TSX VENTURE:AHI) a leading provider of rehabilitation services, orthotics and software services. She has served on Boards of Directors and Commissions in Canada, Australia, Ireland, and the United States, including the Board of St Michael’s Hospital in Toronto. In the US, she was appointed a founding member of the HIMSS Global Enterprise Task Force studying global EHR initiatives. The work earned Susan and her colleagues the Spirit of HIMSS Award for their contributions to global thought leadership. Susan is a member of the Canadian College of Health Service Executives, the International Federation on Ageing, and the Healthcare Information and Management Systems Society (US). She serves as President of the Estate Planning Council of Halton, is an appointed member to the Older Adult Advisory Committee by the Council of the Regional Municipality of Halton, and is also a member of the Oakville Chamber of Commerce and the Verity Club in Toronto. 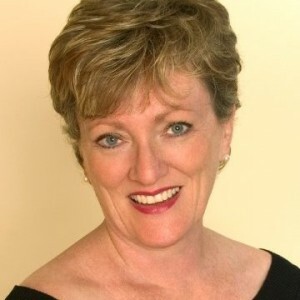 Susan holds post-graduate certification in Negotiations from Harvard Law School/ MIT and a Master’s in Business Administration with a specialty in International Business from Griffith University, Australia. She also holds a Bachelor of Science degree in Physical Therapy specializing in critical care/trauma from the University of Toronto and taught in the Faculty of Medicine for a number of years. We help seniors, and their friends and families. Our unique blend of healthcare expertise, estate planning knowledge, and project management skills allow us to build and deliver practical, actionable plans for all aspects of quality of life. You want to plan ahead and live life on your terms. You need assistance in navigating major decisions. You’re currently going through a difficult time, such as unexpected healthcare crisis or the loss of a partner; you need a co-pilot to assist you in charting a course that works for you. You’re squeezed between the needs of your elderly parents or relatives, your kids, and your career. Your elderly parents are struggling to cope with multiple, cascading issues and you don’t know what to do next. You live far away from your ageing parents or you often travel on business, and you need back-up. You’re ready to be proactive about your own ageing journey. You want to be specific about your wishes for care if you are unable to make those decisions yourself. You may be widowed or getting divorced and it’s time to revise your personal plans.